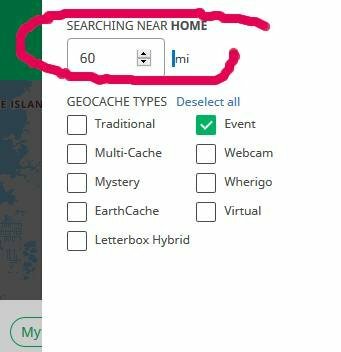 On the search page, I use the quick search for Events, and routinely modify that search from the default 30 miles to 60 miles. 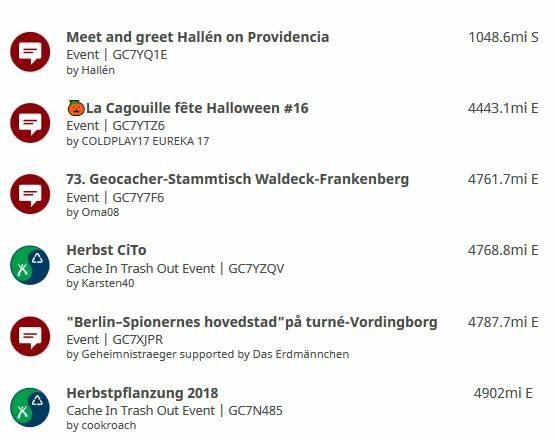 Today, modifying the distance causes the loss of location; returns a list of 4,184 events, all worldwide. This a recurring bug. The rest of the URL before and after these parts stays the same, with the exception of the changed distance in the "&radius=" parameter. I'm not sure what the "ot=4" parameter represents, but it's clearly dropping the part where it does a radius search from my home location.